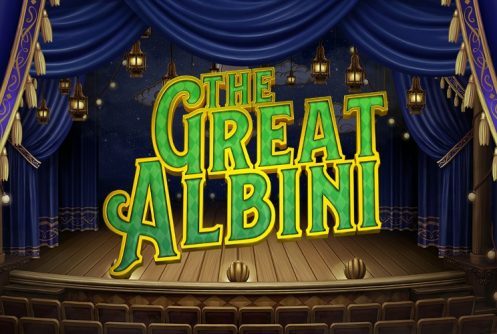 The Great Albini is essentially a medium to high variance Microgaming online slots, however, it’s done in collaboration with another Swedish/Estonian developer named Foxium. 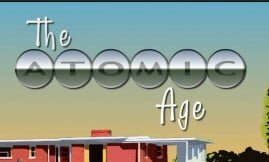 Don’t ask us why Microgaming keeps on teaming up with lessor known developers maybe it’s got to do with splitting the manufacturing costs of the games? Any how it doesn’t matter, let’s remove the lid from this pot to see what’s cooking. The top cash prize (non-progressive) you can win on a single spin is 4,000x your stake – we’ll take it! 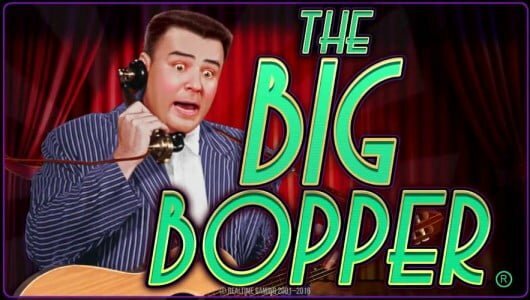 It’s a jazzed up 25 payline, 5 reel video slot that transforms into a behemoth of 50 paylines and 6 rows during a bonus round. The theme of the game centers around a magician (The Great Albini) and his beautiful sidekick Lily, by the way it’s based on a fictional character during the golden ere of illusionists…the 1920s. One person that comes to mind is none other than the great Harold Houdini, who mesmerized audiences with his death defying acts. You can spin the reels from $0.25 up to $30 per spin on mobile devices that includes Androids, iOS and tablets. Are there any in-play bonus rounds? It contains a ”Mystery Box” Re-spin feature stocked with multipliers. The RTP or average return to player percentage of The Great Albini is 96.6% or an edge to the house of 3.4%. We’re not going to harp how good the visual fidelity is suffice to say that it’s top-notch! The reel mechanic is set against the backdrop of a stage where you’ll see symbols such as wilds, cards from 10 to Ace (low value), lucky cups, knives, canary, assistant (Lily) and the Great Albini. The latter is the premium symbol when 5 of them appear across a payline at the maximum bet per spin you’ll receive a payout of 40x your stake. The wilds pop up now and again (not on the 1st reel) which completes a winning combinations when it substitutes symbols adjacent to it. 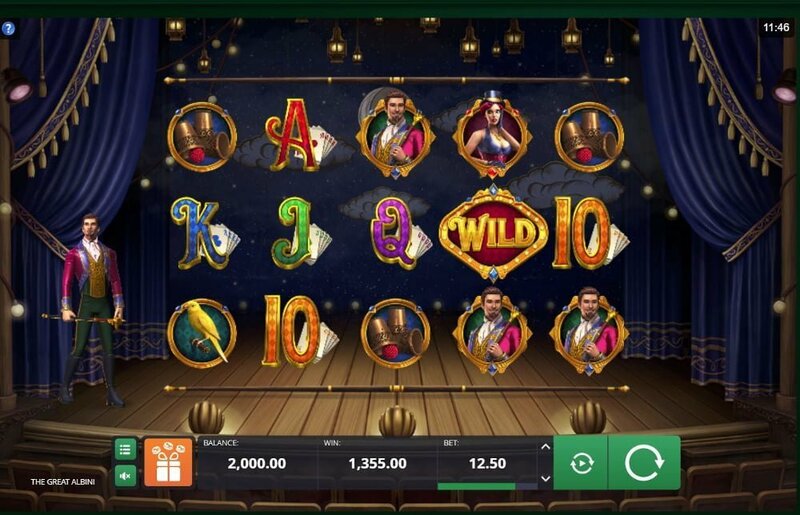 Yup there’s a Free Spins feature too that’s played when the scatters pop up during the main game on the three middle rows.Basically the free spins feature is played on 50 lines and 5×6 rows, keep a close eye on the ‘Lily Bonus’ because this is where it pops. When it’s activated Lily Wilds appear on the center reels, you can get a full column of wilds along with a 2x multiplier as well as an extra 4 re-spins. You can win up to 4,000x your stake here. 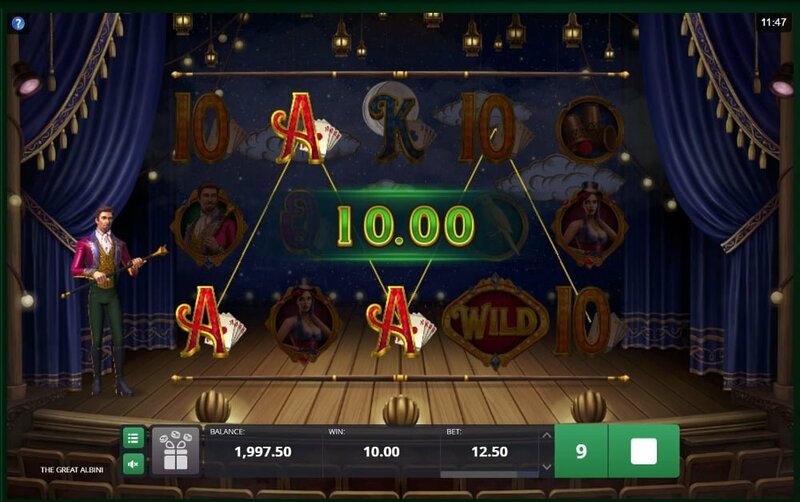 Looks like Microgaming has taken a leaf out of Betsoft’s book since the slots comes with a Bonus Box option where players can buy there price into the Free Spins. You immediately gain access to 8, 10 or 12 free falls with prizes ranging from 100x to 150x your stake. 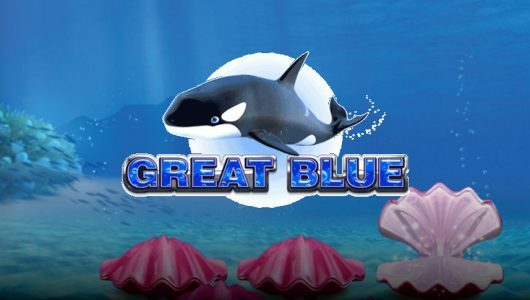 The Great Albini excels at innovation although it’s not a new concept (thanks Betsoft), we’re specifically referring to the ‘Buy In’ feature where you can trigger the free spins, at a price of course. 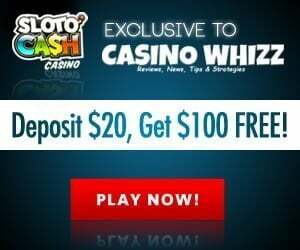 Nonetheless it’s an exciting feature because the top cash prize up for grabs on a single free spin with wild multipliers is $200,000. Dare we say that the game will appease even the staunches slot machine critics? Maybe, but we’re not going to go out on a limb here because a lot of Microgaming slots often get pipped at the posts. The game starts feeling repetitive during the main game and if you follow the conventional route triggering the free spins becomes a slog. We’ll give it a bash again but just for the heck of it. How many bonus rounds does the game have? It has three bonus modes: Mystery Box re-spin, Free Spins with a Lily feature and the Bonus Box (Buy In). If you have the bankroll and you don’t want to wait for 3 or more scatters to pop you can activate the free spins feature at a price. 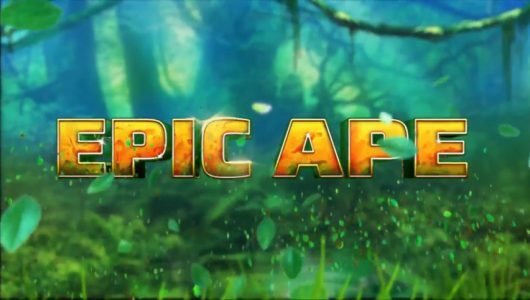 A maximum of 12 free spins are awarded, you can win as much as 4,000x your stake on a single free spin. Is it easy to trigger the Free Spins? The Great Albini errs on the high variance side be prepared to make at least 130 plus spins before the feature is triggered. The cash prize offered during the free spins can be disappointing although Microgaming says a top win of 4,000x your stake is there for the taking. Realistically speaking work on free spin wins of 30x to 70x your stake.